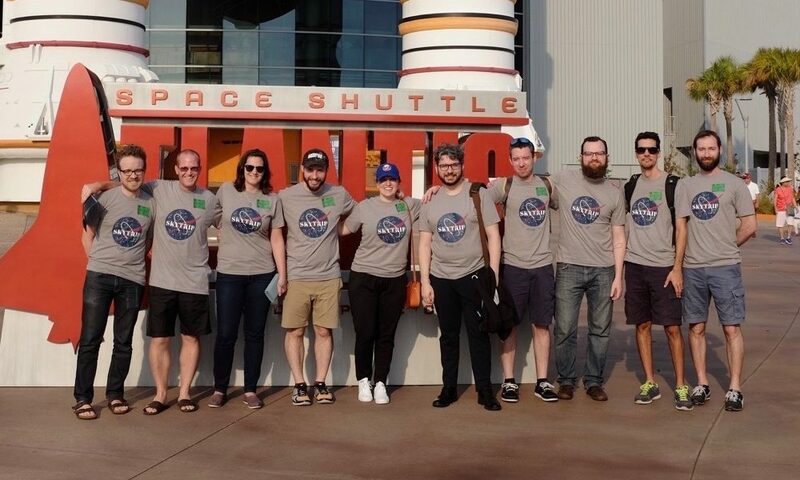 A few weeks ago, our team of 10 SkyVergers converged on Orlando, Florida for our 2nd annual company retreat, dubbed SkyTrip. 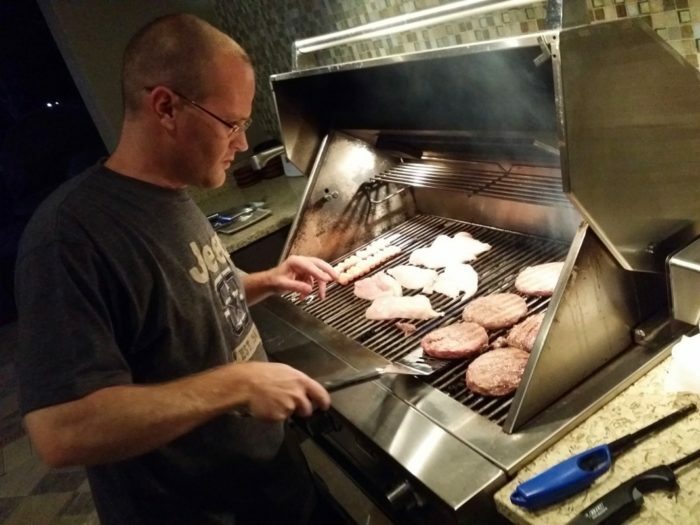 It was an incredible 5 days of beautiful weather, sharing a few delicious meals together, a bit of work, and of course the ever-present ear-splitting 120 dB pool alarms found in Florida vacation homes. As a remote company, this co-located time with the entire team is really important to us, so we plan to set aside time at least once a year for these sort of trips. 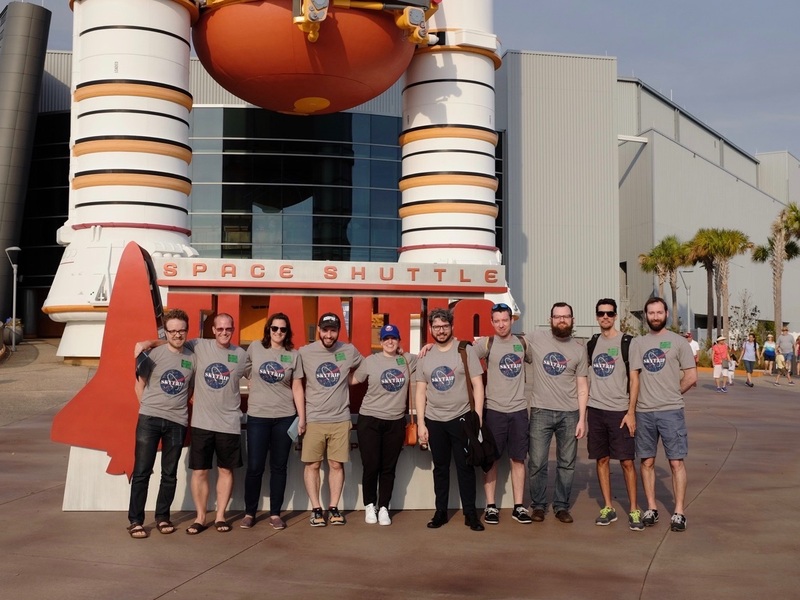 Last year, we wrote a short summary of our inaugural SkyTrip (also hosted in Orlando, Florida), but this year I wanted to go into more depth on how we planned and ran this year’s retreat. 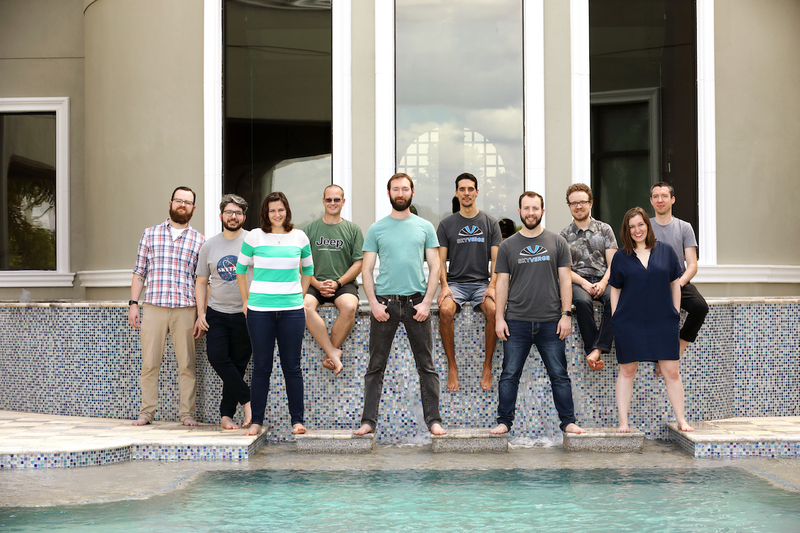 There are plenty of resources on general company retreats, but relatively few for completely distributed companies, and especially those at a smaller size. 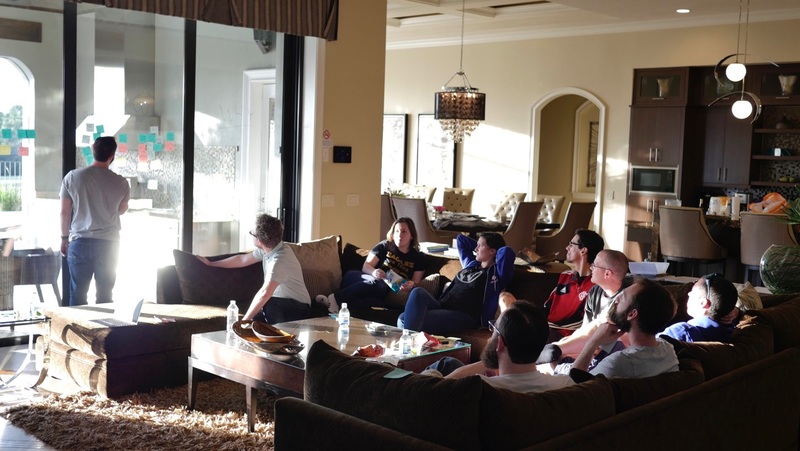 I’m very grateful to some other companies (in no particular order: Buffer, Help Scout, Delicious Brains, Zapier, Wildbit) that have shared their experiences in planning retreats and were a big help to us this year in planning ours. Planning is a crucial, yet unsurprisingly time-consuming aspect of a successful retreat. 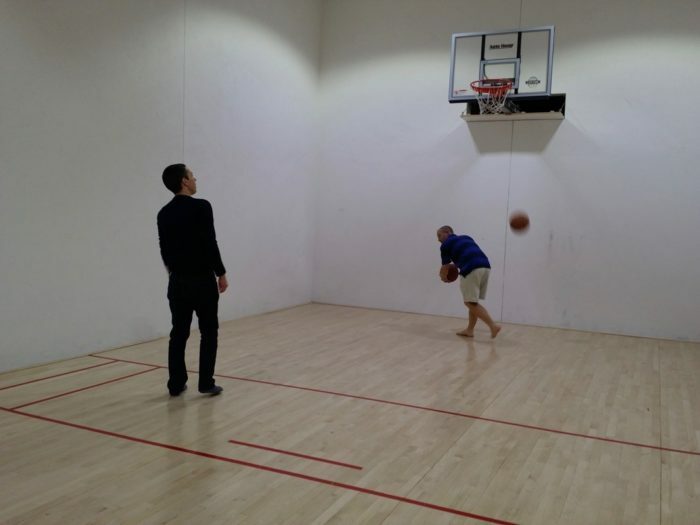 For us, this started in June 2016 with a focus on our goal: we wanted our team to spend time together, both working and playing, then come away from the week feeling excited and refreshed for the year ahead. This led us to aim for holding the retreat in the first few months of the year. What’s your ideal trip climate? What activities do you typically do for fun? Are there things you really liked or disliked about past SkyTrips or work retreats? Once the results were in, we found that the last week in February worked for everyone and decided on a Sunday arrival with Saturday departure. This is a great schedule when you have people with long flights crossing multiple timezones, as it gives them more time to adjust and relax on Sunday evening before starting the week off on Monday. Last year we arrived on a Monday and left Sunday and the week felt a bit rushed because we started on Tuesday. We’ve found that the team members who need to travel furthest like to arrive earlier on Sunday to get a bit acclimated before starting Monday morning. Temperate to warm weather — the team was pretty unified on this one, given many of us live in cold weather climates during Feb/March. Relatively close (< 45 min drive) to a popular international airport. We’ve found that it’s very helpful to avoid long bus or car rides after an already-long flight, but you also want to avoid insanely expensive flights to less popular airports. Somewhere that our team could travel to without complicated visa applications or immigration concerns. From this, we set narrowed our location to the southern US (including Hawaii), the Caribbean, and southeast Asia. Since we had rented a house last year and had a great experience, we decided to limit our search to only rental homes instead of resorts or hotels. We also wanted each team member to have their own room if possible, as this gives everyone time and space to recharge after a long day of working together (and it’s a nicety we won’t always have as we grow). Finally, we knew that we wanted a nicer home with solid amenities as we planned to spend the majority of our time in the house. Homeaway – I’ve found that Homeaway has a large inventory of rental homes, but there’s a lot of junk here that I skipped over immediately. VRBO – This is part of Homeaway, but it seems like they have different listings depending on the area, so it’s worth a look. Airbnb – I’m a fan of Airbnb, and it has higher quality listings than Homeaway or VRBO. We’ve used Airbnb a few times for retreats, small team meetups, or conferences in the past and have had great experiences. Luxury Retreats – Here you’ll find higher-end listings with a concierge-like service for booking. Listings can be somewhat more expensive than Airbnb, but are considerably nicer. Fast & reliable internet. This can be challenging to know in advance, even when you specifically ask about speed / reliability. Ask for fast.com or speedtest screenshots from the property. A few different areas for workspaces, with preference for a large table where the whole team could work side-by-side. After extensive searching, we narrowed our list down to 10 homes: 2 in Costa Rica; 3 in the Dominican Republic; 1 each in Southern France, Scotland, and Southern Italy; and 2 in Florida. With each home tracked in a Google Spreadsheet, we estimated costs (accommodations, flights, and food) and looked at weather, nearby airports, and potential activities in the area. All three European locations had relatively cold weather in early March, so we removed them. Both properties in Costa Rica couldn’t promise reliable internet so they were removed as well. Two of the three properties in the Dominican Republic were over an hour from the nearest international airport, and the last one ended up being outside of our budget after food was included (the home required a chef and grocery delivery, which we liked, but didn’t want to be required to use). So, we ended up choosing between two homes in Orlando, Florida. We went to Orlando last year and really liked the climate, proximity to lots of different types of activities, and wide variety of food. Orlando is also a very popular tourist destination so there are frequent, inexpensive flights. We ultimately decided on Palmilla 7833, a 9 bedroom home that had significantly nicer amenities (an indoor bowling alley!) and more workspaces than the other home, and booked it through Luxury Retreats. Because Luxury Retreats acts as an intermediary between you and the property owner, it’s a very straightforward booking process: it’s similar to Airbnb, and unlike Homeaway where you may need to make arrangements directly. We worked with one of their senior “villa specialists” who answered our questions about the property’s internet and kept in touch with us in the months leading up to our retreat. We had a good overall experience with Luxury Retreats and I would recommend using them, even with a minor mistake on their part (detailed later). With our location booked, we started thinking about flights. Our goal was to have everyone arrive and depart roughly around the same time, and with the help of Emily & Beka (our two resident flight-booking experts), we got pretty close. We spent a bit more money to book quality flights — meaning direct, or as few connections as possible, and on good airlines. Since we were only spending 6 days together, we wanted everyone to be as rested as possible when they arrived. We rented two minivans through Enterprise, which was a definite improvement over the 15 passenger van that we rented last year. What foods should be available for breakfast/lunch/dinner/snacks? What drinks should be available (including alcoholic ones)? Do you have any food allergies or dietary requirements (Gluten-free, Vegan, etc)? Do you have preferences for specific types of foods? Which activities would be fun to do as a team? Do you like or dislike adult-themed card games (Cards Against Humanity, Mafia, etc)? Any other advice or ideas we should consider when planning the trip? The survey results, combined with our earlier pre-planning survey, gave us a good idea of our team’s preferences. Our leadership team also spent time thinking about what type of work we’d like to accomplish during the week, and how much time we should spend working overall. We used Trip Advisor and Yelp to source ideas for team activities, and put everything into a Google Doc. We then spent a few hours at our January leadership meetup discussing the schedule for the week and came up with a schedule that was a mix of work & play. A week beforehand, we setup a specific slack channel (#skytrip-2017) to share updates about flight arrivals and generally keep everyone informed throughout the week. It’s much easier to mention the whole channel than it is to use a group SMS or chat app. 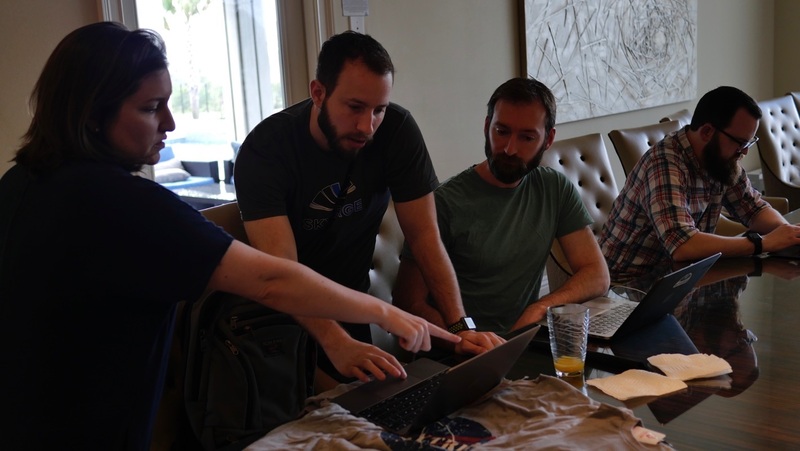 Each day, the entire team cleared support queues together, replied to emails, and finished up any other tasks before starting on the team activity. We quickly found out that the wifi network was not close to what Luxury Retreats had told us it would be, which threw a huge wrench in our plans. We got speeds at about 10-20% what we should have, and there wasn’t a way to get the issue resolved immediately. While they were gracious in trying to get the issue resolved with us, and even sent over a lovely champagne / strawberry basket as an apology, this emphasized the need for a backup plan. Fortunately, we had a Verizon Jetpack with us for this exact scenario, so splitting the team halfway between wifi and the Jetpack was sufficient for the trip. Most of the team arrived and met in the airport before grabbing our rental cars and driving to the house. Two team members arrived a bit later and took an Uber. Once we arrived at the house, everyone fought over bedrooms and geeked out at the arcade and movie theater. We ordered pizza, which is a great option for a quick meal after a long day of traveling. Our SkyTrip tradition is to kick the week off with a team breakfast at Denny’s, a classic American institution representing the finest in culinary arts diner. It’s a great place for a casual and relaxed start to the day. Afterwards, we met up in the theater room to watch company & team presentations. 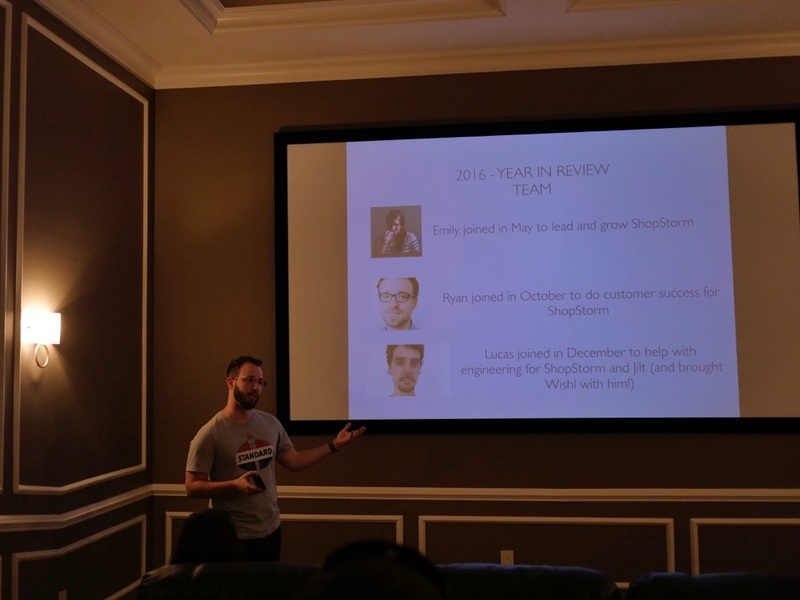 I shared a summary of what we accomplished in 2016 and what we have planned for 2017, while Emily, Beka, and Justin shared their plans for ShopStorm, WooCommerce, and Jilt respectively. This was our first year doing presentations and they went really well, especially with the lively Q&A during each one. This is definitely an activity that’s challenging to do with a remote team so it’s a great time to do them during a retreat. Another activity that we experimented this year (coming off a similar exercise at our earlier leadership meet-up in January) was to chat about our core values and purpose. 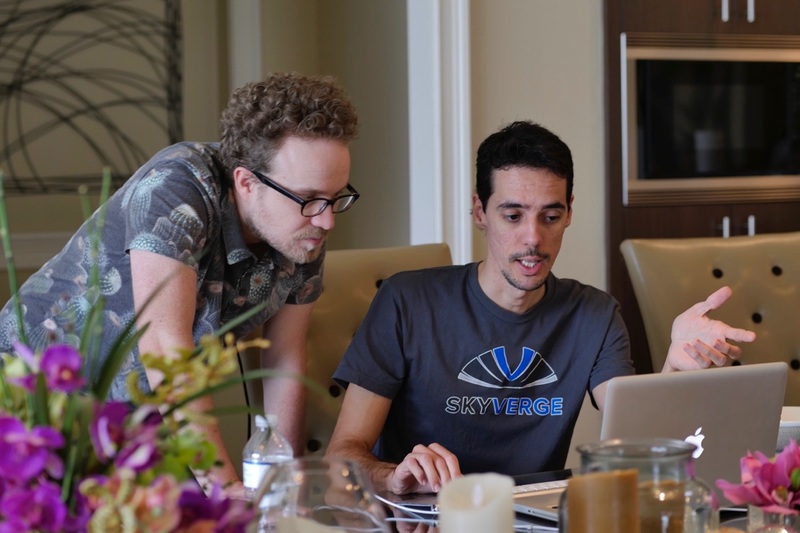 Developing and documenting your company’s core values and purpose is very challenging, but incredibly rewarding and we wanted our team to be a part of the process. We started by watching a short clip of Simon Sinek’s Start with Why TED Talk and used the golden circle idea to help guide the discussion. Each team member had a stack of post-it notes and I asked everyone to write down what we do on a single post-it note and then posted them on the wall. We repeated the same process for how we do things and why we do things. Our team was very aligned on the what and how but less so on the why, which was expected (we’d never discussed it before), and led to a great team conversation on what drives us as a company. together as a team, which was a great opportunity for the team to get to know each other better. 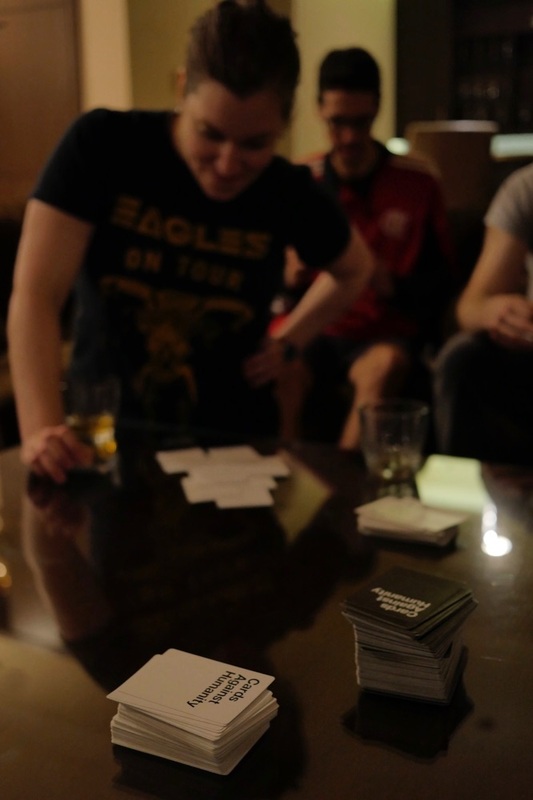 We finished the night by playing a few rounds of Cards Against Humanity which is an amazing game that really shows off your team’s sense of humor ? The focus for Tuesday was collaborative, team-specific projects that worked best with everyone in the same room. The WooCommerce team spent time reworking how we implement our plugin framework, while the ShopStorm team worked on some general improvements to our app admin, and the Jilt team continued working on the upcoming dynamic discount feature. We also had a photographer come out for a few hours and take team portraits so we’d have consistent photos to use on our site and elsewhere. This was totally worth it and we had a great experience with the photographer. We ended the day with dinner at Maggiano’s, a family-style Italian restaurant that our team loves. It’s sort of unique in that you choose from a fixed menu and they’ll bring out as many servings of each course as you want. We also celebrated Lucas’s Birthday! We spent the entire day at Kennedy Space Center visitor complex in Cape Canaveral. It’s a really nice location with plenty to see, including the actual Space Shuttle Atlantis and a Saturn V rocket. We also toured one of the Launch Control Centers used for the shuttle launches and saw some of the surrounding buildings (like the Vehicle Assembly Building, the largest building in the world by volume) and launch pads. We enjoyed the day overall, though it would’ve been nice to have a bit more interaction between everyone. Sightseeing/Tours tend to be a more solitary activity which was a change to last year’s excursion to Disney World’s Magic Kingdom, so next year we’ll look for a more social activity. Last year we allocated two days for team-specific projects, but this year we wanted to encourage more collaboration among our teams. So, we decided to dedicate a full day to a Hackathon. A few weeks before the retreat, we setup a Google Spreadsheet and asked the team to add their ideas for a hackathon project. After about a week, we setup a quick poll and everyone voted on their favorites. We specifically didn’t assign people to teams in advance because we wanted teams to self-organize around the ideas they liked the best. Each team was responsible for presenting their work the following day, so there was a strong incentive to quickly develop a proof of concept that could be shared for feedback. After a bit of discussion (and a few pitches from team members who were passionate about an idea), we split up into 3 teams. One working on creating an open-source Ruby gem for handling durations in Rails, another on a Memberships integration, and the last on our internal dashboard app. 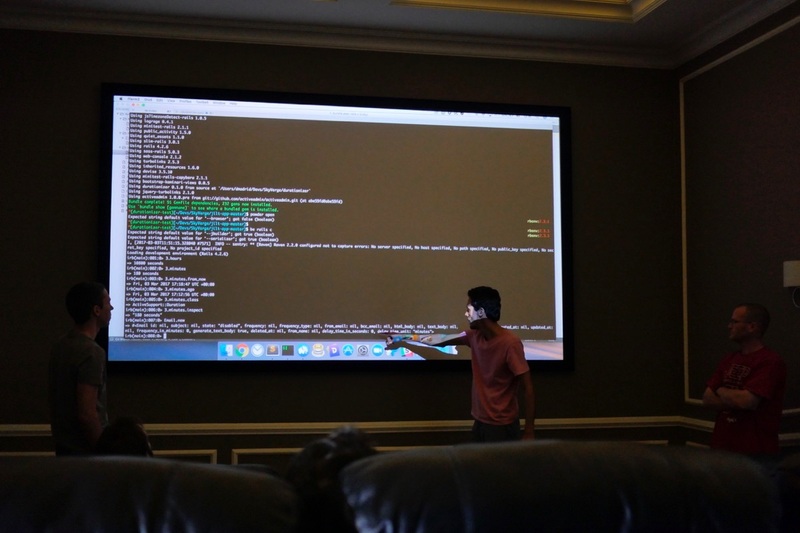 On Friday, each team took 15-20 minutes to present their Hackathon project. Hannes, Dani, and Lucas showcased the Durationizer gem they had created and talked about how much they enjoyed mob programming (multiple people working on the same project on the same computer). Justin, Ryan, Fulvio, and Chase shared their progress on a Memberships integration with Shopify after having developed a working proof of concept in a single day. Emily and I shared a prototype of a new daily sales email, along with a plan for developing a new competitive intelligence tool. 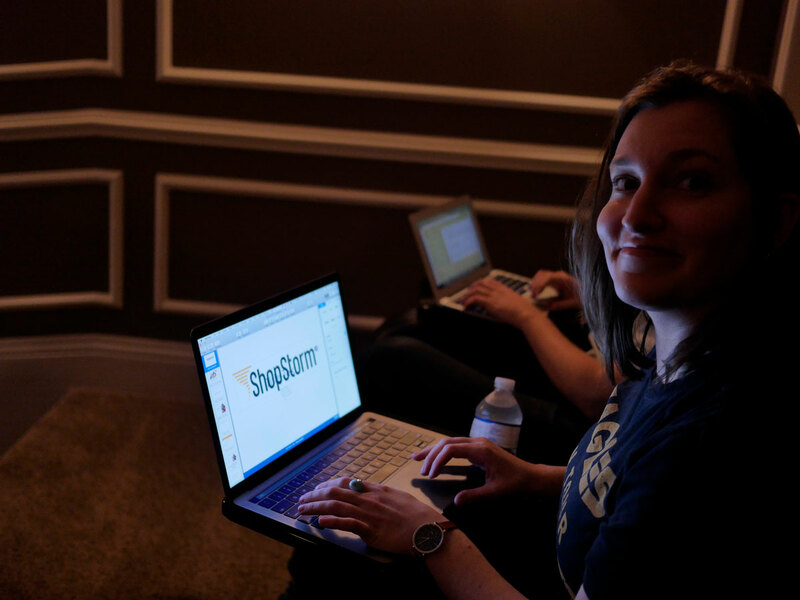 Overall the Hackathon was a big success and we’re planning on repeating it next year, but for two consecutive days to give teams more time to build their idea. The rest of the day was open for lounging around by the pool, playing basketball, enjoying the spa, or taking advantage of the other amenities in the house. Having a free day with no planned activities was a great way to end the week. We were right on budget and expect the per-person cost to hold steady, or slightly increase for next year’s retreat. Planning and running a successful company retreat is challenging but totally worth the effort, especially for a remote team. I’m really happy with how ours turned out and especially with the contributions from our whole team, whether it was providing feedback & advice in our surveys, to booking flights, to helping with various aspects of the retreat throughout the week. We left as a stronger and more unified team than when we arrived, and you can’t ask for much more than that. Did you allow spouses to come to your retreat? What a great retreat! After reading this, in all its humorous glory, I feel I would fit right in with this team! Team building at its finest, your 2017 corporate retreat was impressive! Especially without the help of a certified meeting professional who is extremely organized, self-disciplined, insanely good at booking travel and ready to help get the ball rolling on making the 2018 company retreat top 2017! This looked amazing! I am really impressed with the planning and detail that went into planning this SkyTrip; it doesn’t look like it was just the second year of the retreat. Well done! 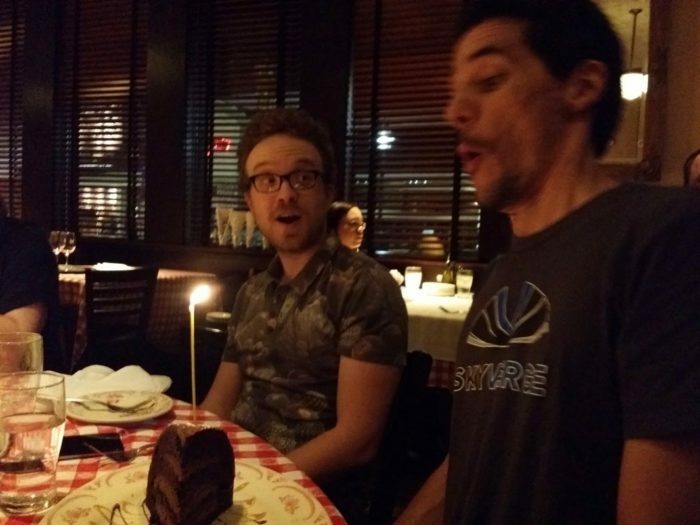 I love the picture of the birthday cake celebration – the looks on both their faces are priceless! Happy belated birthday Lucas! What an awesome way to spend your birthday! I am almost geeking out more about whoever put together this recap! These are all the things that I like to know and put together when I am planning things so it was super fun reading about each component that went into it- – it sounds like it was quite a success for the most part!